Students are naturally curious; they should be given opportunities throughout the curriculum to experiment, inquire, explore open-ended problems, and stretch their imaginations. 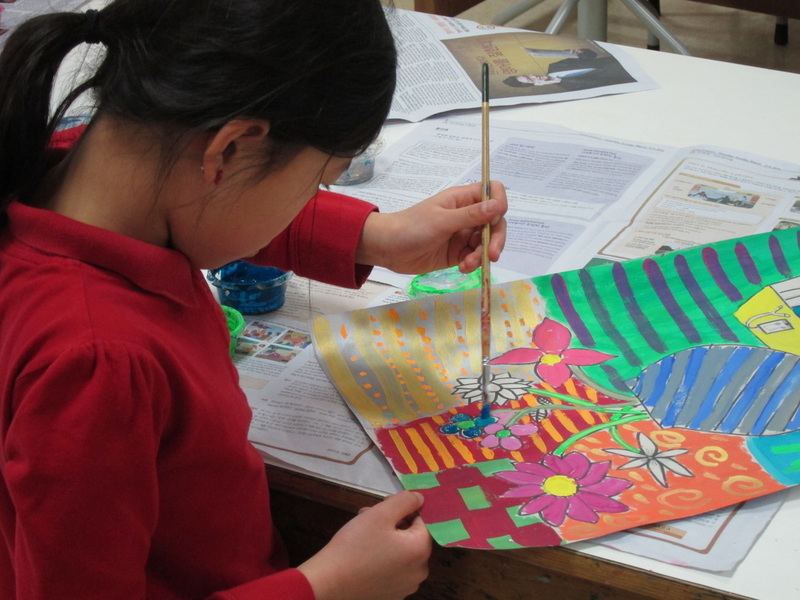 The arts and technology play a vital role in developing these skills. Expectations should be set high, but realistic; with support and encouragement, students will rise to meet these expectations. Teaching and learning are bi-directional; students must actively engage in acquiring (vs. being passive consumers), evaluating, and sharing knowledge. As teachers, we must facilitate an environment conducive for student-centered learning and provide the needed background skills needed for success. This involves a high degree of planning, organization, and flexibility on the part of the teacher. Build off of the strengths, interests, and background experiences of students; scaffold onto these as you introduce new concepts, materials, and processes. Integrating technology throughout the curriculum promotes practical application of technology and information skills within a purposeful framework. Following an art education trip to the culturally rich region of Oaxaca, Mexico, I decided to combine my love of traveling and teaching by furthering my career at international schools around the world. During my 16 years living in Mali, Tunisia, Serbia, India, and South Korea, I have deliberately sought out opportunities to become familiar with its people and traditions. Through art, photography, online travelogues, and video, I seek to document and preserve enduring images of traditional life before they are gone. They are a record of unique cultures that should not be forgotten. 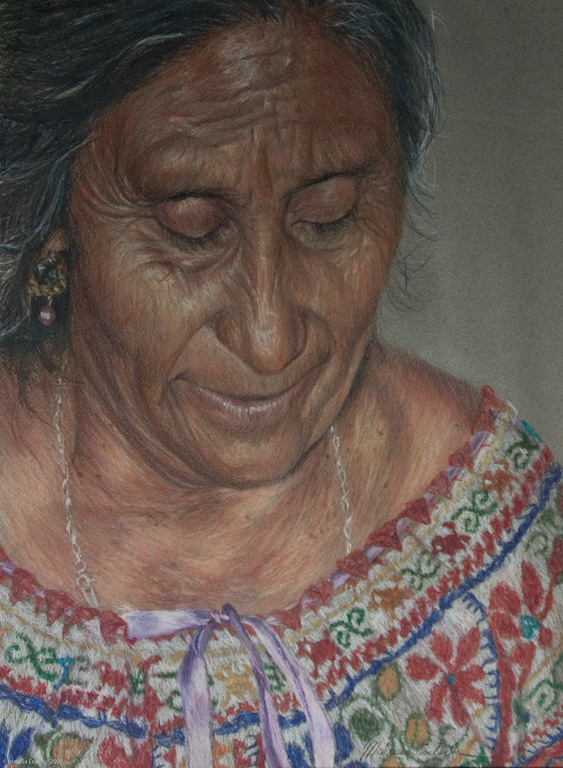 I primarily focus on portraiture in my artwork and am particularly drawn to older people; their worn faces and traditional clothing beg a story to be told. The unpretentious dignity of these people’s lives, the value they place on family, community, hard work and respect are worthy of emulation. Just as a potter molds a fresh piece of clay, my teaching is under constant evolution. As the clay and the developing potter becomes one, the piece matures and becomes more sophisticated. So it is with education. Whether it’s in art or technology, empowering the learner and instilling confidence in one’s abilities influences my methodologies. Although it may be easier and faster to do a task for a person, this produces dependence. Rather, I will provide needed guidance and support until the individual is successful. Initial complaints are replaced by self-realization that they can do it, gratitude that I believed in them, and secure risk-taking. Confident that all will eventually ascertain a strength or preference, students are deliberately exposed to a wide variety of materials, subject matter, and processes. I will never forget a student who spontaneously stood up and exclaimed, “Now I know what I’m good at!” when making a coil pot for the first time. Very rarely do I hear “I can’t draw” or “you need to be a computer expert to do this” in my classroom. For today’s “iKids,” learning and applying skills embedded within a concept-based curriculum is more authentic and purposeful. Creating an advertisement using movie software is typically chosen over more traditional projects, even though it involves more time and planning. Those that “don’t do math” or have difficulty in math are stunned to hear that the tessellations activity they enjoyed so much is actually full of geometry. In both art and technology, when I work collaboratively with teachers, it helps enliven these meaningful connections across the curriculum. Facilitating the inquiry process, it is gratifying when a student suddenly makes the connection that certain designs are similar in many cultures, or when research on the endocrine system inspires the student to seek websites to learn more about an uncle’s diabetes. Differentiation is important not only with young learners but also for adults. Mandating that all learned how to use the LCD projector for example, resulted in a dramatic increase in use, but tailoring non-required professional development topics to teacher feedback resulted in highly engaged learners who saw immediate ways of classroom application. The most successful topics were teacher-selected in content, presented in small groups, hands-on, and spanned several sessions. Visual handouts and online tutorial services provide reinforcement for those learning best in private. While working with individuals who come from places other than mine own and traveling within the host country I have had the opportunity to engage in insightful conversations, which has led to examine my own conceptions and practices, and expand my intercultural awareness. Through my website and artwork, I sought to provide a more balanced, open-minded depiction of the people and natural beauty of the host county. Emails from a global audience indicate that I have helped dispel some stereotypes and move some art instruction from more trite depiction of Africa to more beneficial study on a singular culture. Even when kiln-fired, the piece is not finished. Transformations continue, as glazes are applied, yielding exciting results just begging to be shared. So it is with education.